The awards serve as a guide for parents, librarians and library workers, teachers, and students who are looking for the most outstanding books for children and youth by African American authors and illustrators that affirm the BLACK experience and universal human values. Since 1969, outstanding African American authors and illustrators such as Maya Angelou, Toni Morrison, Walter Dean Myers, Virginia Hamilton, Jerry Pinkney, Bryan Collier, Jacqueline Woodson, and Jason Reynolds to name a few, have been honored by the American Library Association as Coretta Scott King Book Award recipients. Many of the recipients have exceeded in the literary field by winning more awards nationally and internationally. We encourage library workers and educators around the world to celebrate all year long. You can join me and thousands of libraries, schools, and communities from across the country in celebrating this historic golden milestone anniversary. Visit our CSK 50th Anniversary website for program ideas and to access a variety of free downloads, including publicity templates and a variety of other resources. We have provided sample Public Service Announcements and Press Release template that can be adapted for any use. Go to our CSK Programs in 2019 website to explore our CSK 50-50 Initiative, also known as Fifty States Celebrating the CSK 50th Anniversary. To commemorate the 50th Anniversary the Coretta Scott King Book Awards Committee is challenging librarians, educators, and all lovers of children’s literature across the nation to hold one or more programs, classes, presentations, speeches, etc., highlighting the committee, award-winning books, authors, or illustrators in each of the 50 states. You are encouraged to use these resources, programs, and activities as a base to build upon. If you accept this challenge, please send us an email us to diversity@ala.org so your state will be recognized for participating in the 50-50 Initiative. Please share your (or other) CSK event information and photos with our CSK team by sending them to diversity@ala.org. You might see your event highlighted over our CSK social media channels and the CSK50 website. During the 2019 ALA Annual Conference in Washington, D.C., the Coretta Scott King Book Awards Committee will have the following 50th Anniversary celebration activities: the CSK 50th Anniversary Gala, Friday, June 21, 2019, 7-9 p.m.; CSK Annual Program, Saturday, June 22, 2019, 4-5 p.m.; CSK-Virginia Hamilton Award for Lifetime Achievement Award Reception, Saturday, June 22, 2019, 6-7:30 p.m.; and CSK Annual Awards Breakfast, Sunday, June 23, 2019, 7-10 a.m.
Also, visit the Our Voice: Celebrating the Coretta Scott King Illustrator Awards, the art exhibition curated by the National Center for Children’s Illustrated Literature (NCCIL) in partnership with the Coretta Scott King Book Awards Committee at a location near you. Our Voice is the first comprehensive art exhibition celebrating the Coretta Scott King Award Illustrators from its inception to the present. Over 100 artworks are featured, and the art exhibition has shown to record breaking crowds. Click here for further information. The Coretta Scott King Book Awards will celebrate 50 Years at the Bologna Children’s Book Fair (BCBF) in Bologna, Italy. The BCBF conference is dedicated to African American writers and illustrators for children at BCBF to promoting the importance of diversity in children’s books. An invited panel will speak on Monday, April 1, 2019, in Sala Concerto Service Centre at the BCBF. Panelists include Rudine Sims Bishop, Christopher Myers, Claudette McLinn, Ekua Holmes, Nikki Grimes, and Leonard Marcus, panel moderator. A pop up art exhibit from the Our Voice: Celebrating the Coretta Scott King Illustrator Awards, the art exhibition curated by the National Center for Children’s Illustrated Literature (NCCIL) will be featured. 2019 is going to be an amazing year for the Coretta Scott King Book Awards and we want everyone to be a part of the celebration. For more information about the work of the Coretta Scott King Book Awards Committee of the American Library Association’s Ethnic & Multicultural Information Exchange Round Table (EMIERT), go to www.ala.org/csk. 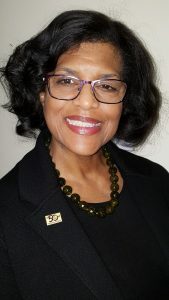 Dr. Claudette S. McLinn is the Executive Director at the Center for the Study of Multicultural Children’s Literature and the Chair for the Coretta Scott King Book Awards Committee. She can be reached at CSMCL.org@gmail.com. I’ve never been one for themed storytimes, but I can understand why many use them. It does make sense to read books about rain in March and April (or, if you live in Ohio, any of the other ten months of the year), or focus on apples in August or September. But one thing I firmly believe is that Coretta Scott King (CSK) Award-winning titles are fantastic choices for your libraries and classrooms all year round, not just for Black History Month in February. If you are unfamiliar with these titles, don’t fret – with 2019 being the award’s 50th anniversary, there has never been a better time to acquaint yourself with these amazing books! That really is the first step to using CSK titles – read the books so you can recommend them to the kids and families you serve. Need a singalong book for a toddler of preschool storytime? Try Ashley Bryan’s Let it Shine (2008 Illustrator Medal). Want a calm-down book for an early literacy program? Use My People, Charles R. Smith, Jr.’s 2010 Illustrator Medal-winning version of the classic Langston Hughes poem. Have a book/movie tie-in display? If you need young adult titles, grab several copies of Nicola Yoon’s The Sun is Also a Star (2017 John Steptoe Author Award) and Angie Thomas’s The Hate U Give (2018 Author Honor); for tweens, pick up Christopher Paul Curtis’s The Watsons Go to Birmingham – 1963 (1996 Author Honor). Need a middle grade title for a spooky books display? Don’t miss Ronald L. Smith’s Hoodoo (2016 John Steptoe Author Award). Want something fictional to tie in with your STEAM programming? Remember to include Brendan Buckley’s Universe and Everything in it, Sundee T. Frazier’s John Steptoe Author Award-winning middle grade title from 2007. And I haven’t even mentioned many of the CSK luminaries in Dr. McLinn’s write-up – needless to say, the author or illustrator study possibilities here are huge! If you want to take things up a notch, why not start a Mock CSK? 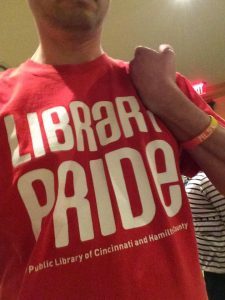 This past December was our first in the Cincinnati-area libraries, and it was a rousing success! You can read more about it here and see the results here (you may have to scroll a bit). Hopefully you are fired up and ready to use CSK books in all of your programs! To get us started, please leave a comment with your favorite CSK title(s). Sam Bloom is a Tween Librarian for the Public Library of Cincinnati and Hamilton County and the Chair of the 2019 Coretta Scott King Book Awards Jury. This post addresses the following ALSC Core Competencies: III Programming Skills, IV Knowledge Curation and Management of Materials, and V Outreach and Advocacy.